The GUIDE is a handy reference for anyone with an alcohol servers permit (MAST permit) and is available for ALL Liquor Licensees (bars, restaurants, liquor stores, as well as grocery stores and convenience stores). 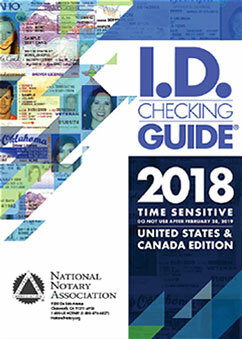 It is one of the best resources available for detecting ALTERED and FALSE IDs. Curb ID fraud by minors and help reduce underage drinking through proper training of staff, servers, and counter help. It includes CURRENT, full size, color IDs from all US States, Canadian Provinces and more. Sales are restricted to Liquor Licensees.